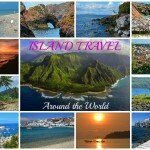 Things to Do in Terceira Island - Azores Portugal - Start Planning Your Trip! Terceira was the second and final island we visited during our time in the Azores. 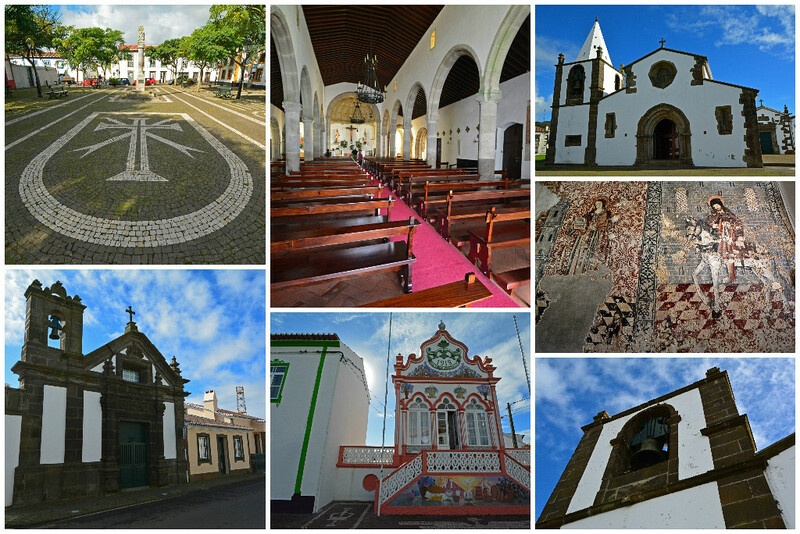 We quickly found out that there are plenty of things to do in Terceira Portugal. With a total of 9 islands in the Azores, we’ll definitely be visiting more of these islands off the coast of Portugal in the near future. Our first few days were spent on the island of São Miguel with a slightly unbalanced mix of ample rainfall and a pittance of sunshine. Weather in the Azores is pretty mild throughout the year, though slightly more cool and rainy in the fall and winter months. 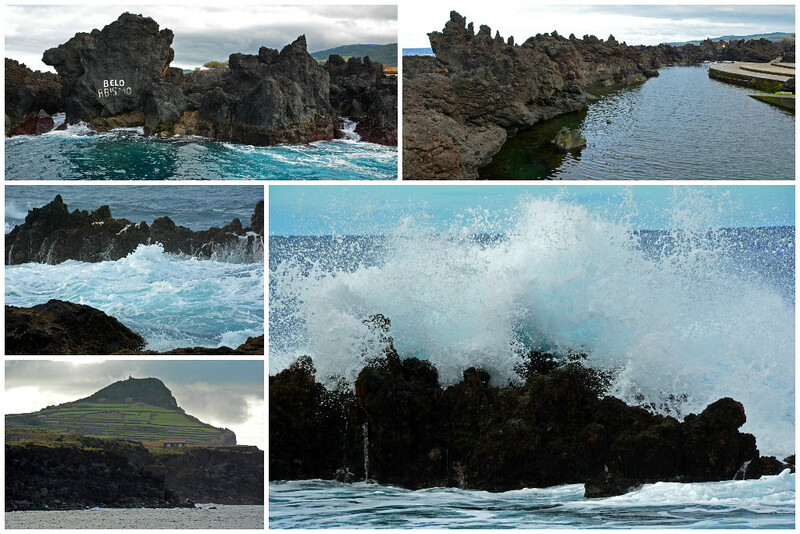 We can confirm that it is as they say, “You can experience 4 seasons in a day in the Azores“. Even despite the occasional rain during our early November visit, it was an island paradise we’d wholeheartedly recommend. With affordable flights to the Azores from the US and mainland Europe, it’s becoming easier to visit this beautiful island chain. You’ll find plenty of things to do in Terceira, many of which are focused on enjoying the natural beauty of this gorgeous island. Terceira Island attractions range from scenic view points to natural wonders, so we hope you enjoy getting outside as much as we do! If you’re looking for adventure during your time in Terceira, consider booking a full-day jeep tour and visit places around the island undiscovered by many! And if you’re up for a truly wild adventure, head out on a guided full-day mud jeep tour! Though the climate in the Azores is said to be mild year-round, there is no way you would’ve caught us in our swimsuits in the alluring turquoise water in early November; it was much too cold for that! That’s not to say that we didn’t immensely enjoy observing the beautiful and sometimes turbulent waters from land. 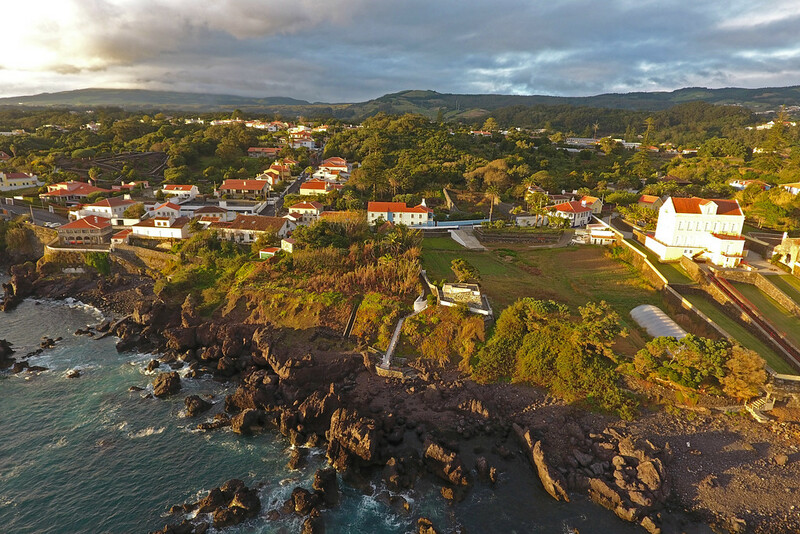 The town of Biscoitos has a captivating coastline with black lava rocks creating a buffer for the ever-changing tides. Calheta dos Biscoitos is the largest natural pool in this region, where it looks as if the ocean water is breathing as it quickly rises and lowers with the tide. We seriously could’ve spent all day watching the waves crash against ragged rocks, but we had much more exploring to do! Also in the town of Biscoitos is a family-run wine cellar and museum that has been open since the early 90s. We enjoyed a quick guided walk around the grounds learning about the history of viticulture in this wind-swept and rock-strewn region. One of many interesting things that we learned during our visit is that the vines grow from the rich porous lava rock, as opposed to growing in fertile soil. Inside the museum is an interesting collection of decades-old wine-making tools. The brief, yet informative tour ends with a delicious sampling of locally produced wines, all of which are reasonably priced if you’re looking to take home a memento from your visit! 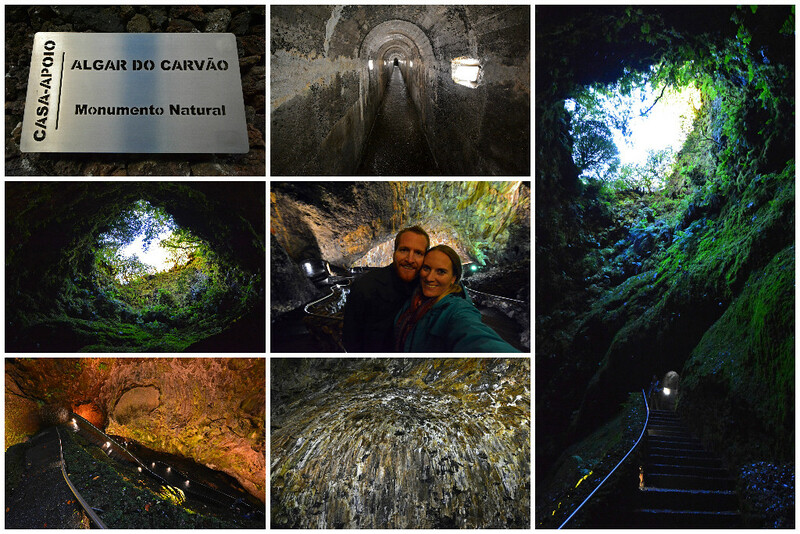 Algar do Carvão is an ancient lava tube located in the geographic center of the island. It is one of a few places in the world where you can walk inside an extinct volcano. While its name loosely translates to cave of coal, Algar do Carvão is not a producer of coal and is most likely named after the the dark composition of the interior rocks. Get ready to climb a few hundred stairs as you explore the depths of this mesmerizing geological wonder. Above you, you will see a fern grotto leading up to the outside world along with stalactites hanging from the interior ceilings. At its deepest point, you will come upon a shimmering lagoon (though lack of rainfall in the summer months may cause the lagoon to temporarily dry up). Please note that the cave has varied opening hours with very limited access in the off-season. Check Algar do Carvão’s website (you may need to use Google Translate) or check with the information desk at the Terceira Airport for more information about opening hours. 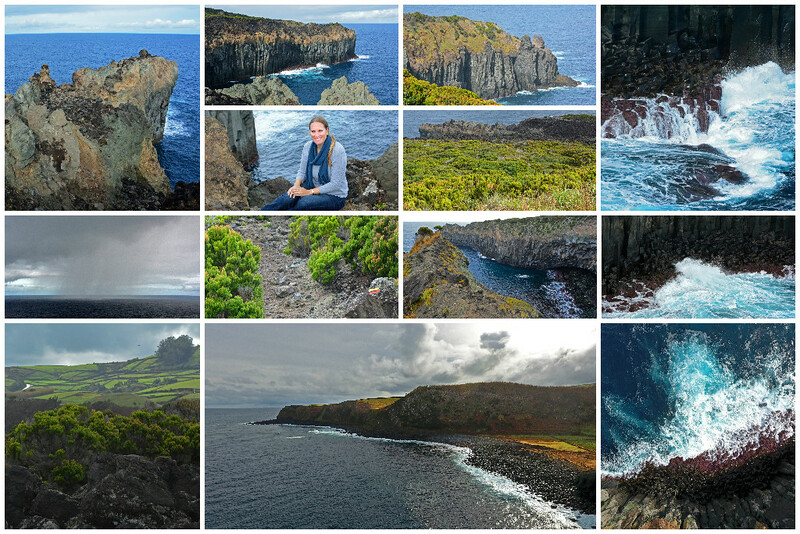 As mentioned before, most of the things to do in Terceira simply involve taking in the breathtaking views around the island, and in most cases it requires getting above sea level for the most spectacular panoramas! If the weather is right, this should be your very first stop upon leaving the Terceira Airport. Located just 5 minutes away, Miradouro do Facho offers incredible views over the town of Praia da Vitória and its harbor below. There’s a good chance you will have already seen this wonderful viewpoint from above during your descent onto the island. Hiking is one of many active things to do in Terceira, in addition to cycling, kayaking, and paragliding, to name a few. We had planned to go kayaking on the island of São Miguel, but strong winds and relentless rain had other plans for us that day. On Terceira, we were hoping to fit in some hiking, but again, the rain thwarted our plans, though not entirely. Our goal was to hike Baías da Agualva, a 2.5 mile (4 km) circular loop, though because of recent downpours, the trails were rather muddy. Following our muddy hiking adventure in Austria, we weren’t exactly looking forward to trudging through the mud, so instead we drove out to the lookout point in Aqualva and simply enjoyed the spectacular views. A friendly local told us about a nearby pigeon cave that only required about 10-minute hike, and he even walked us halfway there. This was quite possibly one of our favorite views on Terceira! Upon leaving Algar do Carvão (cave), we made our way toward the western coast on our journey back to where we were staying near Angra do Heroísmo. This took us through the region of Santa Bárbara, which contains Serra de Santa Bárbara, an inactive volcano that is the highest point on the entire island at 3,350 feet (1,021 m). At the base of the ascent to the Serra, you will find the Santa Bárbara Interpretation Centre which strives to educate visitors on the natural heritage of Terceira Natural Park. While we didn’t make it all the way to the highest point on the island, we were quite satisfied with the views from the road on our drive toward the coast. It looks like a beautiful region of the island that definitely warrants further exploration. So much to see, so little time. For this reason alone, you should allow no less than 3 days on the island. Following a delicious lunch in the town of Altares (which you’ll read more about shortly), we continued westward to Raminho. Just 10 miles from the gorgeous cliffs in Aqualva is another stunning viewpoint showcasing more jagged cliffs along the island’s northern coast. Seriously, the views are insanely beautiful! As mentioned, Praia da Vitória is just a 5 minute drive from the airport, so it can easily be your first stop during your visit to Terceira Island. And what a scenic first impression it is! The town boasts cobbled streets, colorful churches, an impressive town hall, modern marina, and beautiful beach (Prainha da Praia da Vitória, meaning Beach of the Victory), which in the summer months is packed with sunbathers! While wandering about the town, particularly near the beach, keep your eyes peeled for pieces of the old town wall (erected ~1480). And here we thought Praia da Vitória was colorful! 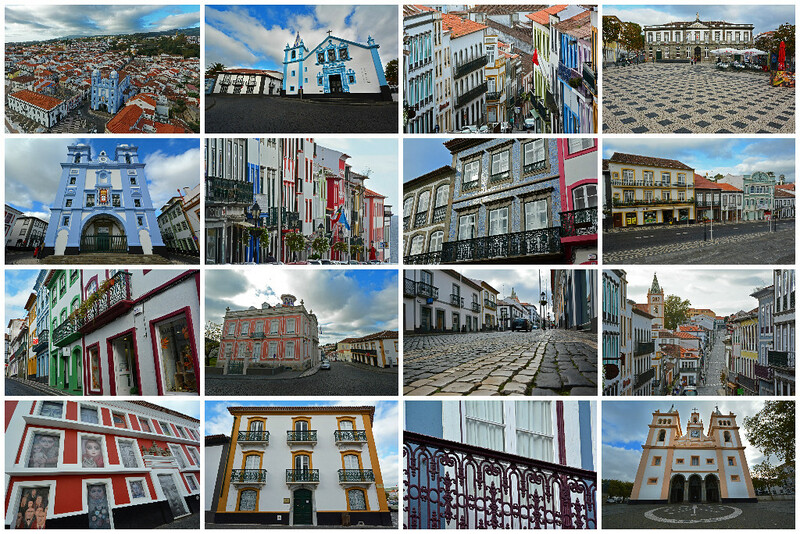 The capital city of Angra do Heroísmo takes vibrancy to a whole new level! There’s not a dull block in the whole city. The entire town center was designated as a UNESCO World Heritage Site in 1983 for its unique architecture and cultural significance. With plenty of museums, cathedrals, gardens, and restaurants to visit, there is plenty to do in the bustling capital city of Angra. Located just a short drive from Angra is the tiny town of Porto Judeu (Jewish Port). Wander through the quaint town center consisting of just a few colorful buildings, including a church and post office, then make your way to the coastline where you will find natural swimming pools and a trail leading to a few geothermal vents. 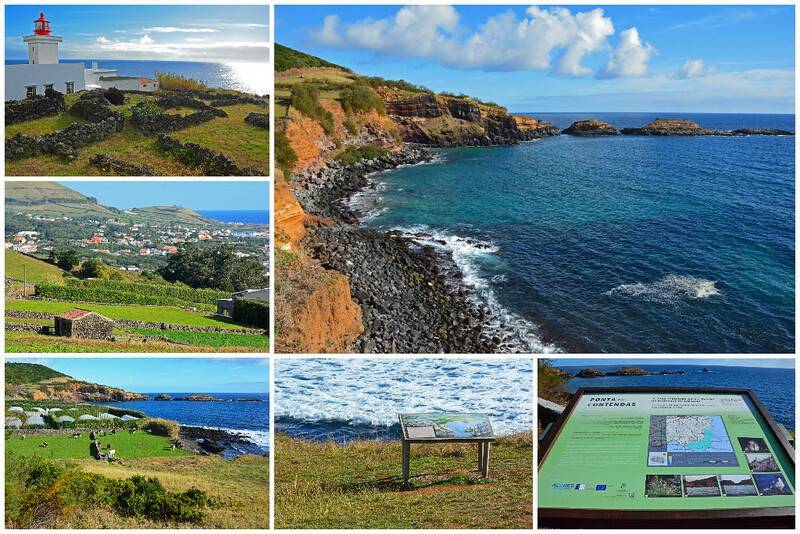 Also, while near Porto Judeu, don’t miss a stop at the Cruz do Canario Viewpoint where you will have wonderful views of Terceira’s southern coast and the nearby Ilhéus das Cabras (dual islet). Vila de São Sebastião, commonly shortened to São Sebastião, has a beautifully preserved city center, including a handful of 16th-century buildings. In addition to admiring the bell tower of Igreja Matriz de São Sebastião (church), you’ll want to take a step inside where you’ll find the walls adorned with late medieval frescoes. Cais D’Angra, located near the harbor in Angra do Heroísmo, has an insanely extensive menu with plenty of starters, tapas, and main entrees to choose from. The menu also boasts a substantial wine and beer list, in addition to a delicious selection of desserts, if you have any room at the completion of your meal! The prices were very reasonable, considering it’s practically waterfront dining! 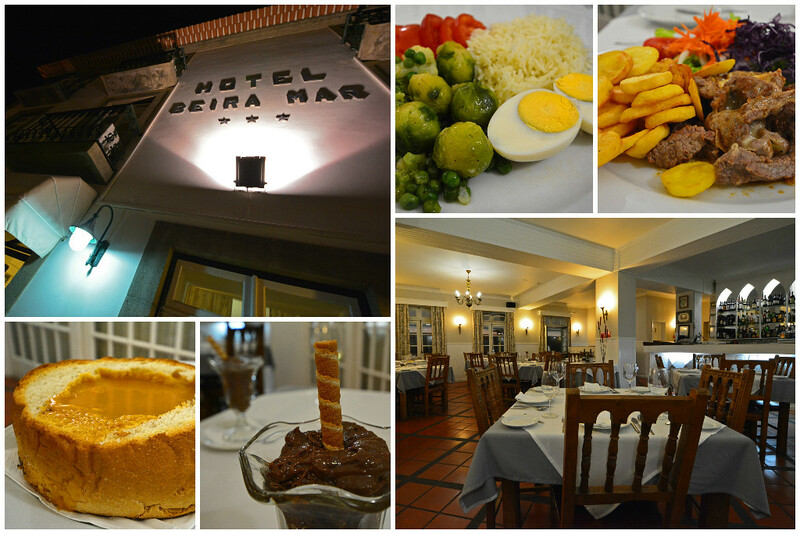 Just around the corner from Cais D’Angra is the restaurant at Hotel Beria Mar, another great selection for your time in Angra do Heroísmo. The food is wholesome, fresh, and savory. Behind the bar, a large window into the kitchen allows you to see the chefs in action. You can choose to sit on the open-air terrace for views over the harbor, though because smoking is allowed on the terrace and it was rather chilly outside, we elected to sit in the charming dining room. Located on the outskirts of the capital city is QB Restaurant. 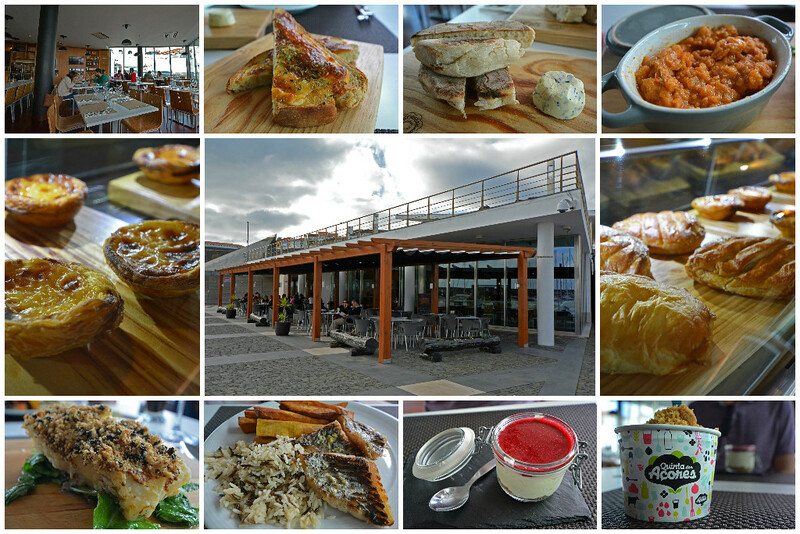 There are two components to this popular Terceira restaurant – a casual food court downstairs and a more formal restaurant upstairs serving a pre-fixed 4 course menu. We had the 4-course meal and it was definitely more than enough food! Besides the mushroom risotto, which was a little too dry for my taste, we enjoyed the delectable spread. The staff was generous to modify the menu slightly to accommodate my pescatarian preferences, which was much appreciated. The staff at O Pescador in Praia da Vitória treats you like family from the moment you walk in the door. With a plethora of menu options, there’s something for everyone! They specialize in seafood and as I had eaten my fair share of fish during our time on the island, I decided to branch out and try something different. Not my smartest move, as I was seriously jealous of Sam’s fish entree. The vegetarian paella I ordered was adequate, but sadly not my favorite meal on the island. Fortunately, there were plenty of other delicious items we sampled, like the locally-made Dona Amélia cakes. O Pescador comes highly recommended and has pretty much nothing but outstanding ratings online, so it’s definitely a restaurant you want to check out during your time on Terceira. On the north side of the island in the small village of Altares you’ll find the outstanding Restaurante Caneta. Feel as if you’ve stepped into the home of your Portuguese grandma and dine on some of the most authentic and fresh Azorean cuisine on the island. Everything we ate here was exquisite and we cannot recommend this restaurant enough. It’s definitely worth the drive, even if you’re staying in Angra do Heroísmo, as there is plenty to see on the north side of the island, such as Biscoitos, Aqualva, and Raminho, for example. 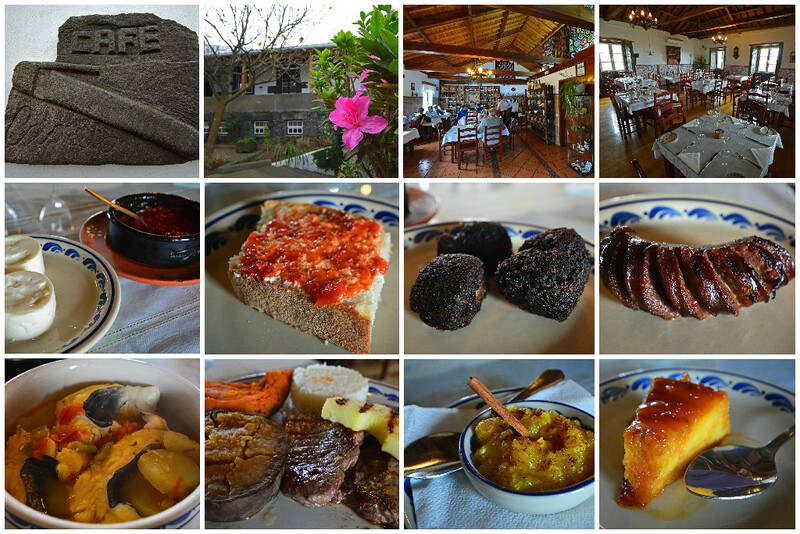 For our final dining experience on Terceira, we visited Quinta do Martelo for a memorable evening filled with stories of culture and local history, along with exceptional traditional cuisine. Quinta do Martelo isn’t just a restaurant, they offer unique lodging opportunities on their expansive estate. Oh, how I wish we would’ve had more time to explore the grounds. They’ve gone to great lengths to recreate what life was like on a traditional rural farm five centuries ago, complete with restored workshops and a museum. In the restaurant, they use only the freshest ingredients and still cook with a wood-burning oven. 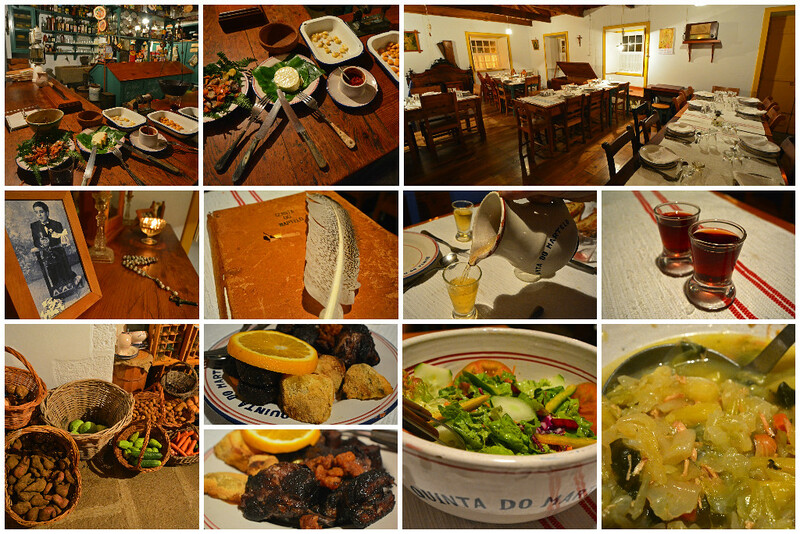 Because of its unique charm and authenticity, it was probably our favorite dining experience during our visit to Terceira. We strive for eccentric accommodations when we travel and Quinta das Mercês did not disappoint. In fact, it was perhaps one of the most fascinating places we’ve stayed. Set on 8.5 acres (35,000 sq m), parts of the dwelling date back to the 16th-century. During your stay, ask to see pictures of the estate before restoration and you will be amazed at just how much work it took to transform the accommodation into what it is today. There’s even a chapel on the grounds. Complete with a sea water swimming pool, Turkish bath house, jacuzzi, gym, tennis courts, billiards room, and forest paths to explore, you may be tempted to never leave the property. Mingle with the friendly owners and other guests in one of many sitting rooms throughout the house and make yourself at home. Watch the sun set over the Atlantic from the front of the estate. 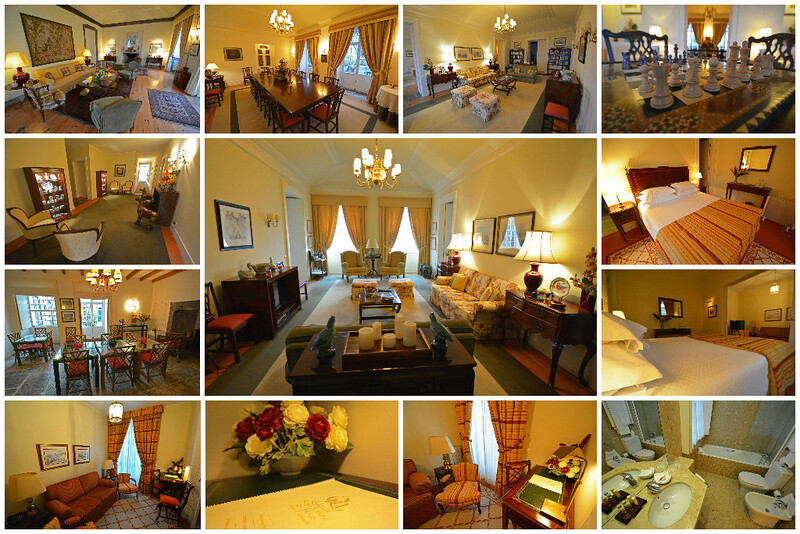 Then settle into the posh and cozy accommodations for a good night’s rest at one of the most luxurious Terceira hotels. So, now that we’ve shared with you all of the wonderful things to do in Terceira, we should probably tell all about travel to the Azores! If you’re in the US, fortunately there are direct flights to the Azores with Azores Airlines, including from Boston to Terceira. With Azores Airlines, you can also fly direct to Terceira from Lisbon (mainland Portugal) or with stops from several destinations throughout Europe. In addition, they provide inter-island transfers in the event that you want to visit some of the other islands in the Azores archipelago. 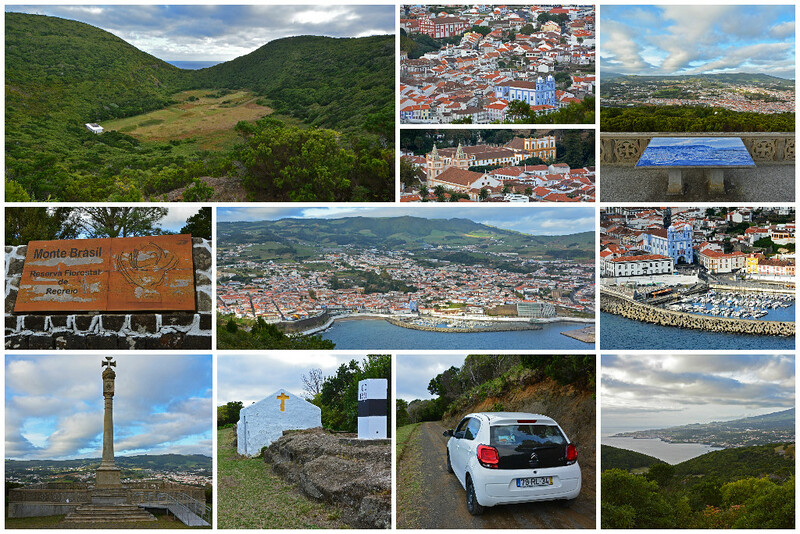 It is highly recommended that you rent a car during your time in the Azores. Public transportation is somewhat scarce and it’s much easier to explore at your own pace with a rental car. Compact manual cars are pretty standard and suit island driving just fine. We had a small, basic car through Autatlantis and had zero problems during our time exploring Terceira. Though if taking a guided tour is more your style, there are full-day and half-day tours available where you can let someone else do the driving! The Azorean people are truly lovely and very welcoming. We honestly wish we had more time to spend with the locals to learn more about their traditions and culture. With easy transport to the islands in the Azores, the archipelago is quickly becoming a go-to island destination and we encourage you to visit before too many people discover just how wonderful the islands in the Azores truly are! Our visit coincided with the off-season (early November), and while the Azores weather didn’t always cooperate, we were able to experience the natural beauty of what is known as the Hawaii of Europe with very minimal crowds. TIP: To check the weather around the island before you head out, check the Terceira web cams on the SpotAzores website. The weather could be different at various spots throughout the island, so you might be able to make last minute adjustments to your plans to avoid less than ideal conditions. We’d like to thank the Azores Promotion Board and Azores Airlines for sponsoring our visit to the island of Terceira Island Portugal. As always, our write-ups are an accurate reflection of the experiences we had. This post contains affiliate links, which simply means if you make a booking using one of our links, we may receive a small commission, at no additional cost to you. Thanks! Yea, there’s a lot more stories coming up about the Azores, which is why we’re encouraging people to visit before it gets too discovered! (But I guess us encouraging people to visit will only help it get discovered!) Oh well, somewhere this amazing couldn’t remain unknown for too long! WOW! This looks incredible! Portugal is high on my list of places to visit and possibly look into living for a few months. Looks like you guys had an amazing time! There are soooo many incredible places in Portugal. We visited twice last year and can’t wait to get back again! I’m in Terceira now, and loving this island! Your insight has been so helpful, thank you! There is one place you mention that I cannot find, can tell me how to get to the pigeon cave? Its a well kept secret here! Feel free to email me if that’s easier. Thank you! Drive to the lookout point of Aqualva. On your way back to the main road, less than a minute’s drive from the lookout point, you’ll see a place to pull off on the right. Park there and follow the trail for less than 10 minutes. It’s part of a longer hike (http://trails.visitazores.com/en/trails-azores/terceira/baias-da-agualva) that we didn’t do due to the rainy conditions. Hope you find the cave! We wouldn’t have known about it, if it weren’t for a friendly local. 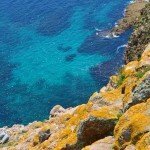 How commonly is English understood on the Island? Everyone we came across spoke English. We had zero problems with a language barrier during our time in the Azores. Hi Carin. Glad you found the guide helpful! Hope you your husband and little one have a great first family trip together. We don’t personally have any advice about traveling with babies, as we’re expecting our first this September, but there are plenty of family blogs out there that may be of use to you! Check out http://havebabywilltravel.com/ and do a quick Google search for ‘Traveling with Baby/Kids’ and you’ll find plenty of excellent resources. Again, have a great trip! I have booked a trip for the thanksgiving holiday…would you recommend renting a car? Is this the best way to see the Island? I just saw your recommendation. Please disregard. Perfect. Glad you found the answer to your question! Thanks for all your tips!! We will be there for new years eve!! 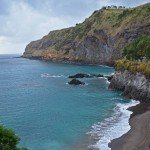 We were wondering if it’s worth to go visit the other islands or madeira, and how to get to them? It honestly depends on how much time you have! 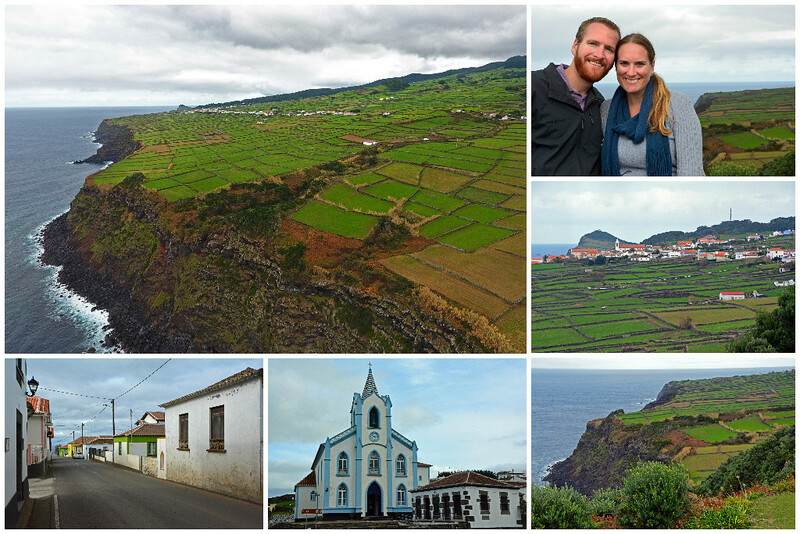 We visited the islands of Terceira and Sao Miguel during our visit to the Azores and spent about 3 days on each. We flew between the islands (on Azores Airlines) and we’d definitely recommend making an effort to visit more than one island, if time allows. We haven’t yet visited Madeira, but it’s certainly on our list! Thank you this is a great help, we are going in January. What did you do for a phone buy a chip? and Maps how did you get around? What maps did you use. Awesome. 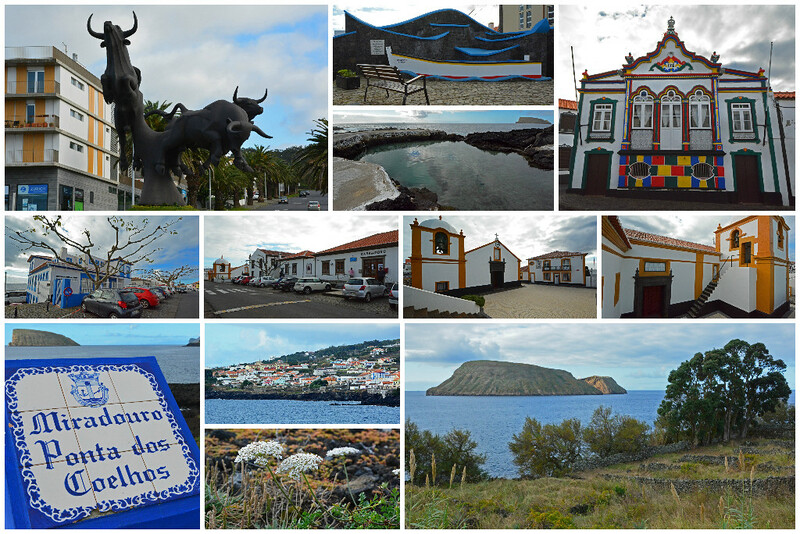 You will have a wonderful time on Terceira Island! We sometimes buy local SIM cards for our phones when we travel (can usually be purchased in gocery stores/gas stations) and other times, we simply rely on WiFi at our accommodation to stay connected while on the go. For maps, we made a one time purchase of a Garmin GPS unit and purchased an international (European) map program (chip) which we have used countless times on our travels. We’d literally be lost without our GPS. For the exact model we use, check out our post ‘Practical Gifts for Travelers’ (https://forgetsomeday.com/practical-gifts-for-travelers/) as we highlight the products we use while on the road (including the Garmin GPS unit that we have now used in a variety of countries around the world, including Portugal)! Also, what adapter did you use, I travel internationally to Ireland and Italy and have been to portugal – would one of those adapters work there? Or what do you recommend. Check out our post ‘Practical Gifts for Travelers’ (https://forgetsomeday.com/practical-gifts-for-travelers/) as we highlight the products we use while on the road (including a universal power adapter) that works in multiple countries around the world. Do rental cars come with a GPS? Typically, no. This is usually an add-on. For this reason, we have found it more economical to travel with our own GPS unit. It has more than paid for itself time and time again. For the exact model we use, check out our travel gear page – https://forgetsomeday.com/practical-gifts-for-travelers/. My husband and I are traveling to Terceira in April 2018. I’ve been searching the web to find things to do when we get there, and I have to tell you, this is the BEST info I’ve found in one place. Your pics are amazing and make me wish I was leaving today. 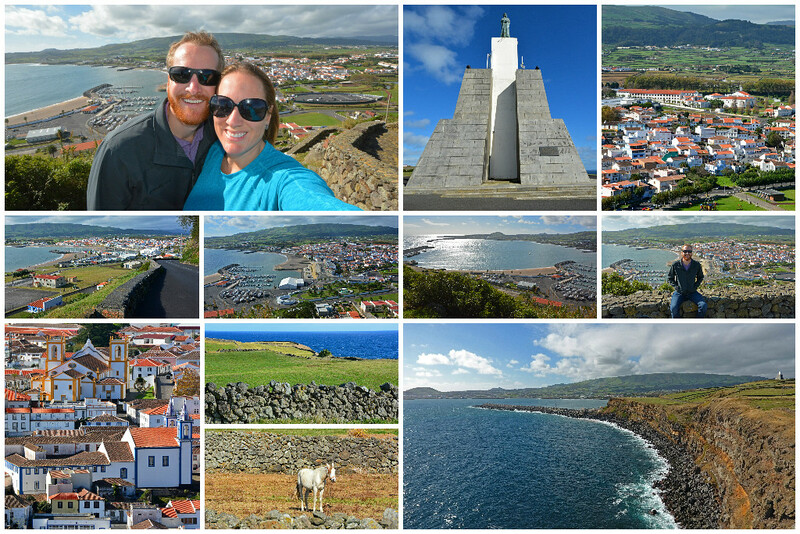 Thank you for such a great recap of your trip to Terceira. We’ll definitely try to hit all of the places you recommended. I do have one question…..What would you say the price ranges are for dining? Reading some reviews of decent restaurants in Angra do Heroísmo (where we’re staying), people were saying they could get 2 meals and a bottle of wine for around 30 Euros. Did you find that to be the case? (of course I realize prices vary, but I was saying on average). Hi April. 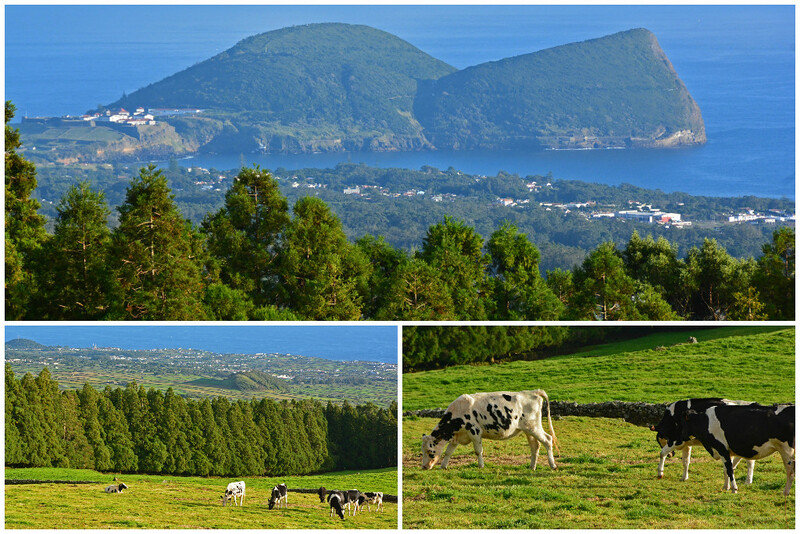 You and your husband will have the most wonderful time on Terceira Island. I’m glad you found our site so helpful! 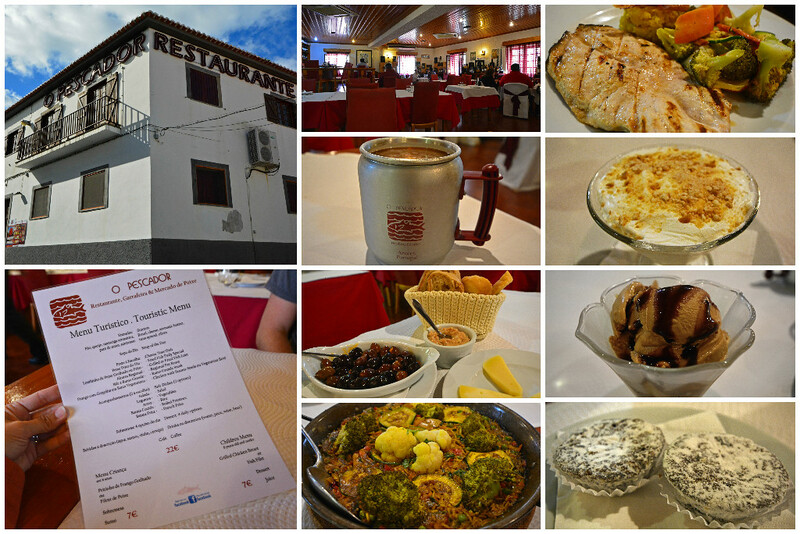 In full disclosure, our visit to Terceira was hosted by the tourism board, so most of our meals were covered. However, when I typically do research on restaurants when we travel, I usually go to a restaurant’s web page or check Trip Advisor to access the menu, so I can get an idea of prices before we go. I do recall the prices being reasonable at Cais D’Angra and the popular QB Restaurant. 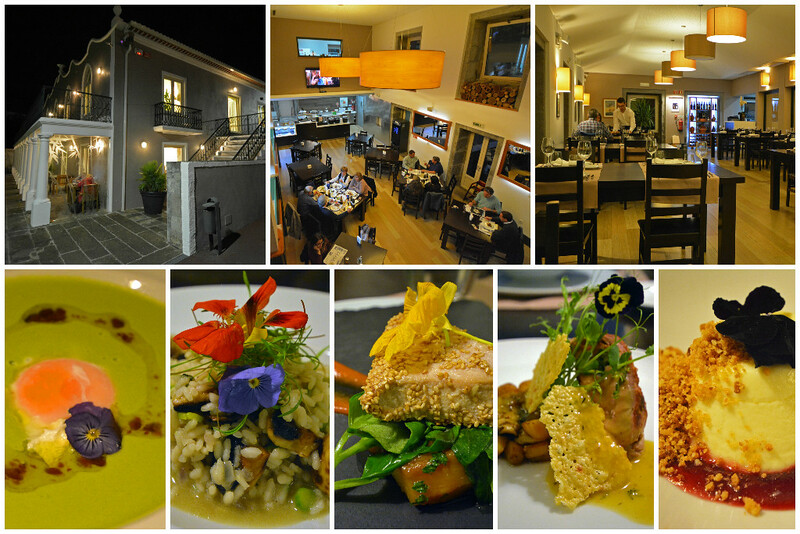 And although a little more pricey, Restaurante Caneta and also Quinta do Martelo, are definitely worth a visit! Those were our favorite and most authentic dining experiences on the island! 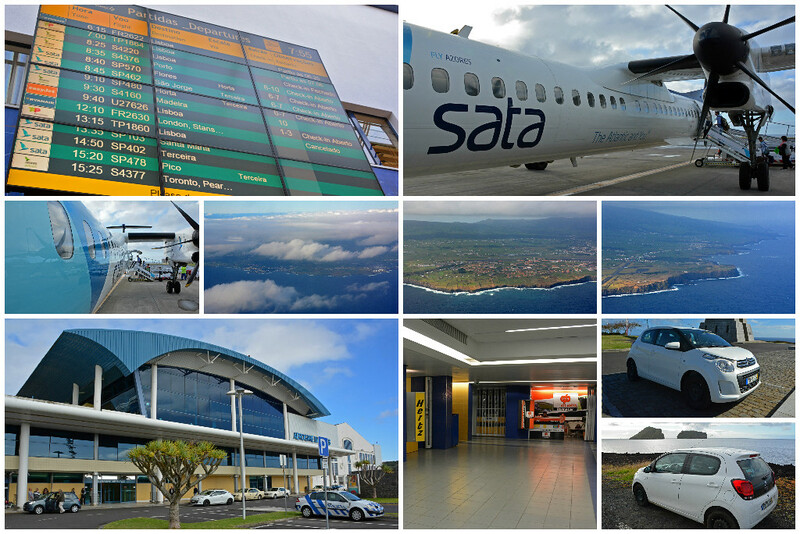 Enjoy your trip to Terceira! We got back from our trip to Terceira last week and I just had to thank you again for your very thorough post. I had it saved on my phone and used your recommendations to decide what to do/see each day! We went to all of the cities you recommended and more (we were there for 8 days), but didn’t get to all of the restaurants you recommended. Funny story, I kept saying to my husband, “Toccara & Sam recommended this place” and he thought I actually knew you. I laughed and said, “No, they have a travel blog and wrote an excellent review of the island.” Ha! I’m going to check out the rest of your posts to find somewhere fun to go on our next trip! Thank you so much! And the award for nicest compliment on the blog ever goes to April! Thank you so much! It brings us so much joy to hear that we were able to guide you toward a fantastic trip on Terceria Island. Once you’ve looked through our other blog content, let me know if you have questions about any of the other destinations we’ve been. Happy to help! 🙂 Again, so happy you had a wonderful trip! We would like to do a trail ride on horseback when we are in the island at the end of March 2018. I am having difficulty finding information. Please let me know if you are aware of any stables On the island that offer trail rides. Thank you. We are not affiliate with this company, nor have we tried it ourselves, but they received favorable reviews on both TripAdvisor and Facebook – https://www.facebook.com/Basalto-HorseExperience-933691310008234/. Hope you find what you’re looking for. 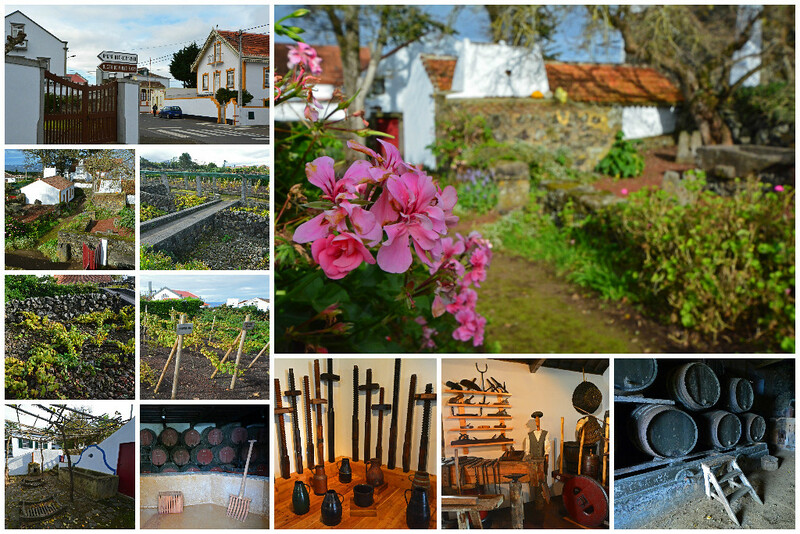 Have a great time on Terceira Island! If this isn’t exactly what you want, try contacting the local tourism board (https://www.visitazores.com/en) and they should be able to point you in the right direction. Hi. 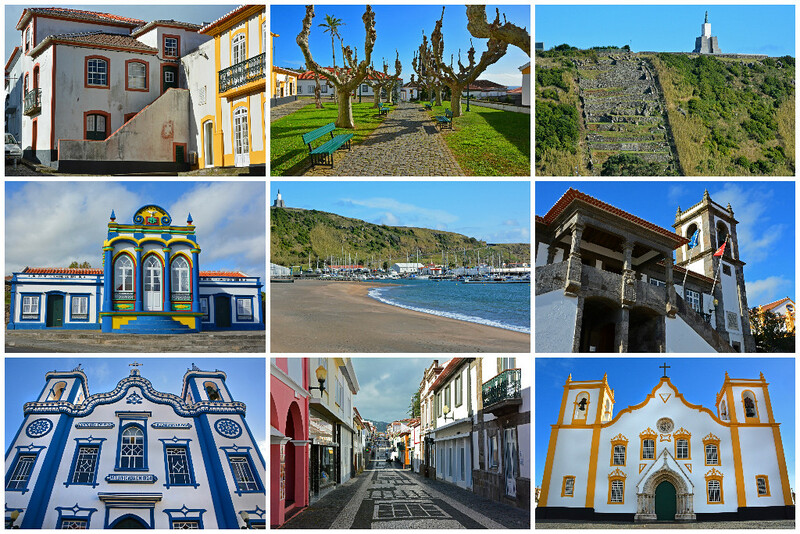 I loved your report about Teceira Island. I lived on that island for 1 1/2 years (1968-1870) while in the Air Force. The Air Force base is called Lajes Field. It was the most enjoyable time of my life. Of course I was young, 19 & 20, and just loved the beauty of that island. There seems to have been many changes since I was there so long ago. Thanks for your description of my once home. Aw, glad we could help you take a trip down memory lane… and show you what’s changed since you lived there. Still seems like a fairly unspoiled island, so much natural beauty! My dad was stationed there in 1956. He met and married my mom in angra. They then lived in pritoria ( closer to the base) my husband and I going there next month. Both my mom and dad have passed, I wanted to go there so badly with mom, but I will wait no longer. So excited. I grew up eating the food mom cooked. I continue to cook it some. Cannot wait to see where my mom was born and raised. Looking forward to trying out some of these local restaurants you have recommended. I’m sorry that you are not able to do the trip with your parents, but that’s fabulous that you are finally doing the trip you’ve always wanted to do! That’s the premise of our blog “Forget Someday”… we want to encourage others to not put off the trip they’ve always dreamed of, because tomorrow is not a guarantee. We wish you the most wonderful trip. You and your husband will certainly create memories you will cherish for a lifetime! Thanks for sharing your beautiful imagery and details of each city! We lived on Terceira for three years. I was a military brat and my dad was stationed there when I was very young. We loved exploring the island as a family and even had a chance to tour seven of the nine islands with other Navy families on a boat exursion! My sister and I plan to go back very soon. You’re welcome! How lucky that you got to live on Terceira for 3 years, even though it was when you were very young. I bet you and your sister will have a wonderful reminiscent trip back to the beautiful Azores! Wanted to say that we found this website and happy that we did. A wealth of information and hopefully we can use a great deal of it next week when we are in Terceira ans San Miguel. First time visit to the islands (where my grandfather was born (Lajes). A member of his family still has two homes on the island and we’ll be viewing both but we are staying in Angra da Heroismo for a few day and then flying over to San Miguel where my uncle was born. Appreciate all the info you provided. It will make things much easier for first time visitors like my wife and I whom are celebrating our 46th wedding anniversary. We are from Calabash, NC. Congrats on 46 years! That’s definitely worth a celebration trip to the Azores. So glad you found the information useful and how neat that you have a family connection on the island. Wishing you and your bride a wonderful anniversary trip! I love seeing this 🙂 I live in Colorado but was born in Terceira so it’s nice to see that there someone that as found this natural beauty. You’re welcome! 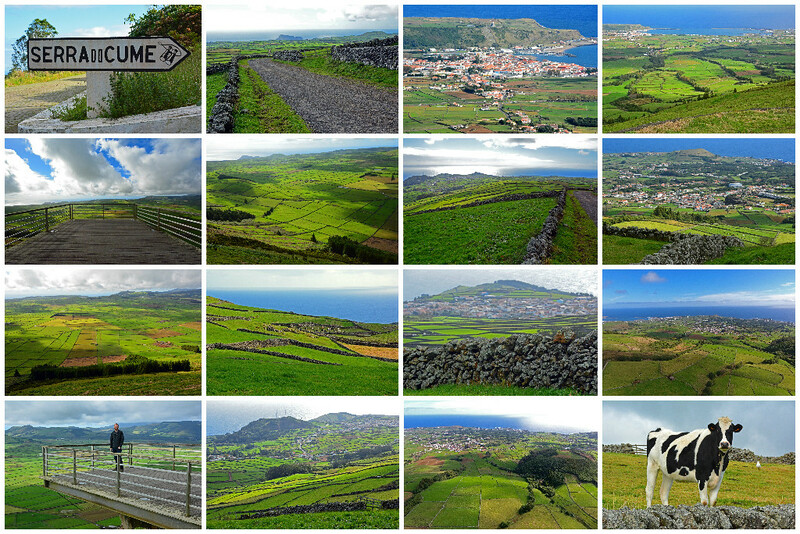 Have you been back to Terceira much since you were born there? We love that it doesn’t seem over developed and has so much natural beauty! Hi! We are taking this trip next month and am so grateful to have found your review!! I’m not sure if I missed it, do we need adapters and transformers for our plugs for cell phones and laptops? We are traveling from the US. The power plugs and sockets are circular prongs, so US plugs will need an adapter. You won’t need a converter if your device can handle 120V-240V (this information should be found on the device/cord). The standard voltage in the Azores is 230 V.
Hello! Yes, as others have commented, your site is a plethra of information, thanks! I have a health question as I will be traveling to Terceira in May. Do I have to worry about drinking tap water or should I always drink bottled? Do I need to get a Hep A shot? Can altitude sickness be a problem there? I know this sounds like I’m a hypochondriac, but I just like to be prepared. Appreciate your response. Hi Suzanne. Sorry for my delayed response. These are great questions, though I’m not confident that we’re the best people to ask, as we only spent a week on the island ourselves. We are always up to date with our shots when traveling, though I don’t believe the Azores have any specific immunization requirements. I believe the tap water is safe to consume and I don’t think there are too many places high enough to cause altitude sickness. Again, I would take our recommendations/best guesses as gospel, so we continue to do your research elsewhere and hope that you find solid answers for all of your questions. 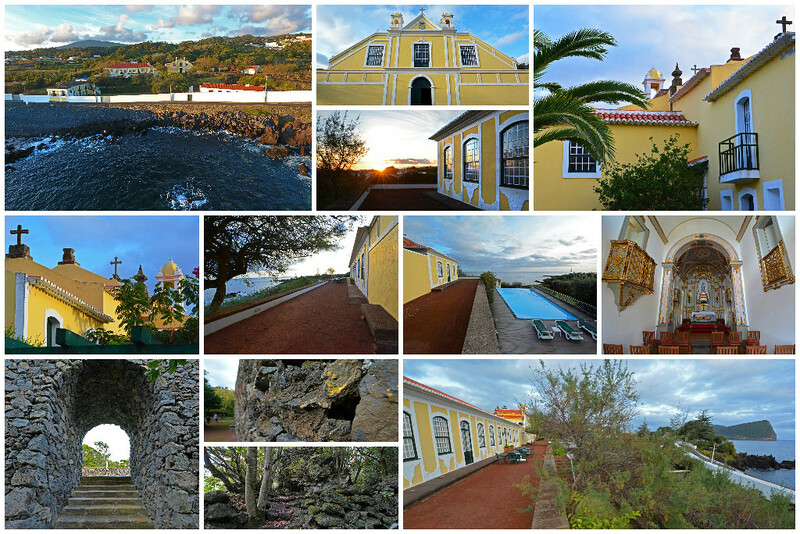 Have a wonderful time on Terceira Island!